As empowering as it was to watch Jada Pinkett Smith dub just about everyone a queen this summer in Magic Mike XXL, it’s still fun to see a little cutthroat action on the way to the throne. Luckily, RuPaul’s Drag Race serves up plenty of it, along with sweet affirmations. 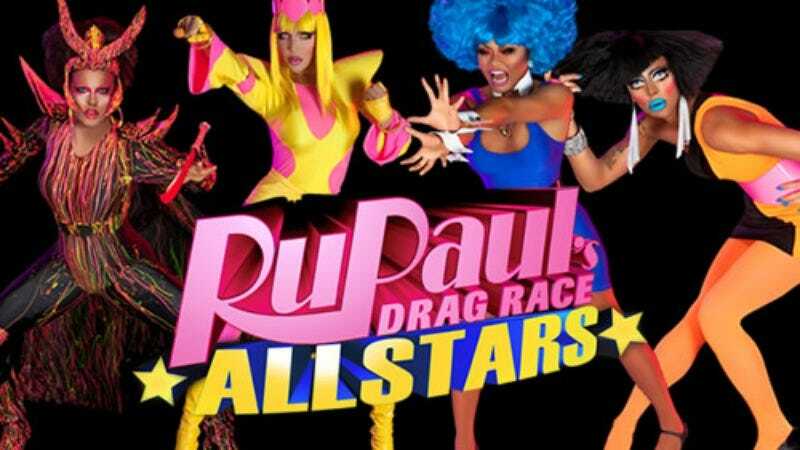 And now it looks like we’ll see twice the campy fun in 2016—Logo TV has just announced the long-awaited season two of RuPaul’s All Stars Drag Race, which will premiere right after the conclusion of Drag Race season eight. All Stars Drag Race brings back twelve contestants to give them another chance at the sash. There’s only been one season so far back in 2012, possibly because so much time is spent filming “alternate endings” to the regular seasons. Whatever the case, the upcoming second season of All Stars promises even more “more eleganza and double-lashed side eye than Drag Race has ever seen.” And if 2016 seems too far away, you can tide yourself over with Ru’s musings in RuPaul’s Drag Race: Season 4 RuVealed, which premieres July 31.